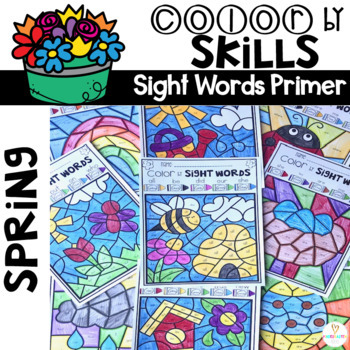 Spring Color by Sight Words Primer is a fun and engaging way to practice sight words with your kindergarten and first grade students. Students will work on sight word identification and spelling all in one activity. 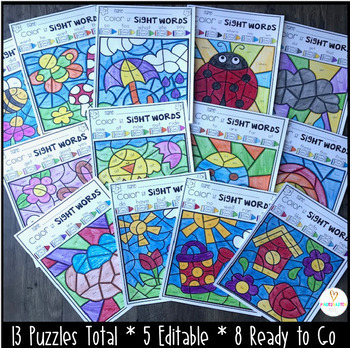 Color by sight word activities are perfect for small groups, independent work, morning work, homework, homeschooling and reading intervention. The primer Dolch words are broken down into 8 sets of 5. There are also 5 editable pages. 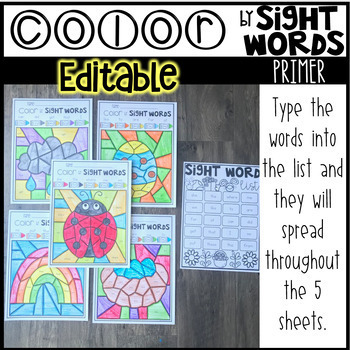 Type 20 words on the sight word list and they will spread throughout the 5 pages. 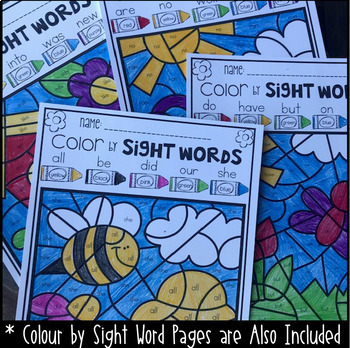 ***Also included is a separate identical version of this unit "Colour by Sight Words Primer (UK/Austalian Spelling)."